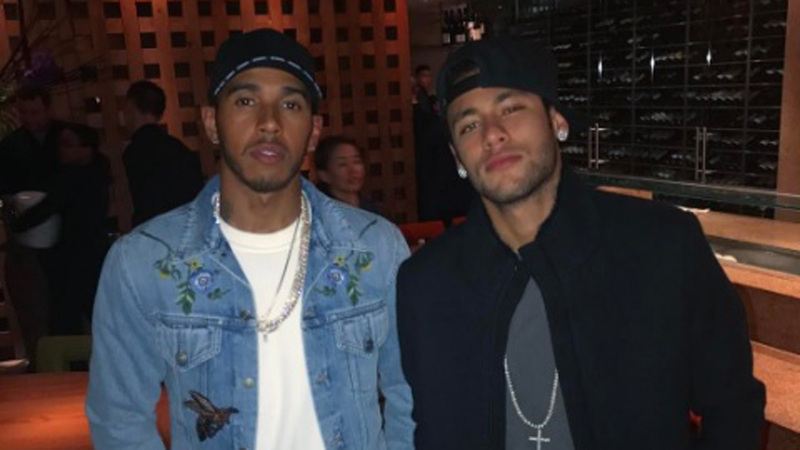 As Lewis Hamilton prepares for the new Formula 1 season in London, his old friend Neymar paid him a visit. The Barcelona player posted a photo of the two having taken a brief excursion from his preparations for the weekend LaLiga clash with Atletico Madrid. It’s not the first time they’ve met up, with the pair pictured alongside Justin Bieber at the summer Gold Cup in the USA.